One pervasive trend is to quantify more and more aspects of the world and our lives through data. Datafication is radically influencing the way people, companies, societies, and governments exist and operate. This creates new opportunities as well as new hazards. The INSY department aims to enable man and machine to deal with the increasing volume and complexity of data, in close cooperation with their environment. 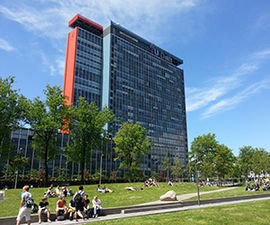 Together with the software technology department, INSY is responsible for the Computer Science bachelor programme and the two master tracks, Software Technology (ST) and Data Science & Technology (DST). The department also contributes to the Computer Science specializations Cybersecurity, Bioinformatics, and EIT Innovation of the master in Digital Media Technology. The department integrates fundamental research, engineering and design in the interlocking fields of data processing, interpretation, visualization and interaction using model- and knowledge-based methods and algorithms. The research is inspired by challenges from the domains of consumer electronics and entertainment, cultural heritage, social media, medical and health sciences, security and privacy, and safety and incident management. The department underpins the EEMCS thematic research lines Data Science, Safety & Security, and Health & Wellbeing. Goal is to develop new algorithms to generate, represent, interpret, display and interact with complex and large data sets. The Multimedia Computing (MMC) Group develops algorithms for enriching, accessing, and searching large quantities of data. 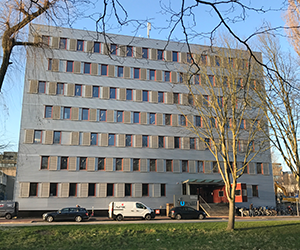 Cyber security in Delft has a unique socio-technical approach towards the protection of cyber space. We combine computer science, mathematics, electrical engineering, physics, economics, ethics, and law. Pattern recognition is concerned with processing raw measurement data by a computer to arrive at a prediction, which can then be used to formulate a decision or action to take. Developing human-agent collaboration, we combine intelligent agent technology, cognitive engineering, psychology, affective computing, value sensitive design and human computer interaction.